This year’s show, our 14th annual Crypticon moves back into September! We are very excited to be returning our show again this year to the Hilton. Get your table reserved because we will sell out -- so don't wait! PARKING IS FREE! If you have any questions on the rules or possible restrictions on sales of your merchandise at Crypticon Minneapolis, please email Nick at count_kaufman@hotmail.com before purchasing a table. We allow all vendors to participate in the events of Crypticon. The VIP Dinner/Party will require an extra fee and there maybe some restrictions for special events. If attending any of the Crypticon events, the vendor/artist tables need to remain manned during dealer room hours. VENDORS TABLES ARE $225 each and are 8-foot tables with 8 square feet of vendor space with two chairs. They will be located in the main ballroom. Multiple tables are also available. Tables are reserved on a first-paid, first-served basis. CORNER VENDORS TABLES ARE $300 each and are 1x 8-foot table and 1x 6-foot table with 8 feet of vendor space with two chairs. The difference between a Corner Booth and purchasing 2 Vendor Tables is the space behind the tables. The Corner Booth is like a 8 x 8 foot square with a table on 2 connecting sides. They will be located in the main ballroom. Tables are reserved on a first-paid, first-served basis. PACK UP TABLES ARE $150 and are 6-foot tables and are 4 feet deep with two chairs. There will be a limited amount of these tables. These tables are in the hallway and are not in a secure area after the dealer room is closed. It is recommended that you take your stuff with you each day. Tables are reserved on a first-paid, first-served basis. ARTIST TABLES ARE $175 and are 6-foot tables and are 4 feet deep with two chairs. There will be a limited amount of these tables. They will be located in the main ballroom. Tables are reserved on a first-paid, first-served basis. The CRYPTICON MINNEAPOLIS WEEKEND dealer rooms will be open: Friday, September 6, 2019, from 4:30 p.m. to 10 p.m. Saturday, September 7, 2019, from 11:30 a.m. to 8 p.m. Sunday, September 8, 2019, from 11:30 p.m. to 5 p.m.
Vendors/exhibitors will be permitted to set up from 11 a.m. to 4:30 p.m. on Friday, September 6, 2019. We do not mail contracts to you. If you have any questions, contact Nick at count_kaufman@hotmail.com or call Nick at 612.327.9998. 1. All vendor/exhibitor tables/spaces must be manned at all times. 2. Vendor/exhibitor tables/spaces must remain intact throughout the hours of the convention and may not be dismantled prior to the closing of the convention. 3. If any vendor/exhibitor has special requirements, including but not limited to large display racks, easels, stand-ups, etc., they MUST be cleared by CRYPTICON MINNEAPOLIS staff at the time the tables/space is booked. Vendors may not hang large banners in any areas of the convention except within their own vendor area. damage, loss or theft due to said vendor/exhibitor participation in the CRYPTICON MINNEAPOLIS weekend. 5. In addition, all vendors/exhibitors acknowledge that CRYPTICON MINNEAPOLIS and all CRYPTICON MINNEAPOLIS weekend staff members, workers, and Ramada entities, employees and agents, will NOT provide or maintain insurance coverage for vendor/exhibitor persons or property, and it is their sole responsibility to obtain insurance covering such loss. 6. CRYPTICON MINNEAPOLIS in no way endorses any vendor/exhibitor merchandise, exhibits, views, beliefs, or actions. All vendors/exhibitors are deemed to be their own business/entity and in no way reflect the views, beliefs, intentions and/or direction of CRYPTICON MINNEAPOLIS. Vendors/exhibitors do not represent CRYPTICON MINNEAPOLIS in any way. 7. All merchandise bought or sold at the CRYPTICON MINNEAPOLIS weekend is done strictly between vendor/exhibitor and attendee/buyer. CRYPTICON MINNEAPOLIS and CRYPTICON MINNEAPOLIS weekend convention are not party to or responsible in any way for any transactions made between said parties. 8. No illegal, stolen or copyright infringed merchandise are allowed. Please email Nick at count_kaufman@hotmail.com with questions on whether your merchandise is acceptable. Violation of this rule may result in vendor being asked to leave. There will be no refunds of vendor space purchased. All tables/spaces will be reserved on a first-paid, first-served basis. Due to the popularity of the CRYPTICON MINNEAPOLIS weekend, we strongly suggest you reserve and pay for tables right away because they will sell out quickly. NO REFUNDS WILL BE GIVEN ON ANY TABLES/SPACES AFTER August 15, 2019. In the event your table is rebooked, a refund may be given. No refunds will be processed until 30 days after the close of the convention. All payments must be made by check, money order or credit card via paypal: count_kaufman@hotmail.com. No tables/spaces will be reserved until payment is made. Please read the following vendor badge policy, understand it and agree to it before becoming a vendor. Vendors with one to two tables will get two (2) vendor/exhibitor entry passes. Vendors with three or more tables will get four (4) vendor/exhibitor entry passes. Artist tables and Pack up tables will receive two exhibitor entry passes. Vendors and artist exhibitors may purchase up to two additional entry passes at $25 each. Become a Crypticon sponsor! 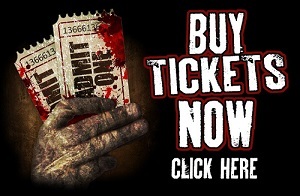 This year get even more involved in Crypticon -- become a sponsor! We have many sponsorship packages and can customize them to work best for your business. We are also looking for special sponsors for our many events. Contact Nick at count_kaufman@hotmail.com for more information.